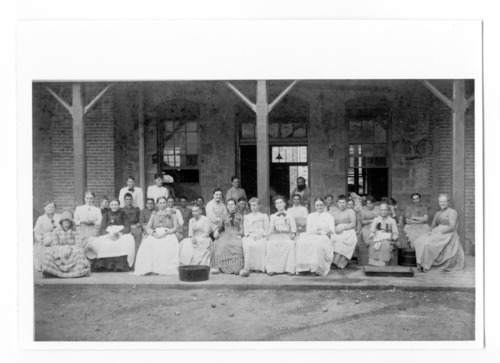 These twelve black and white photographs show the buildings and some of the staff at Topeka State Hospital around the turn of the century. Images include views of staff and/or patients and various structures including a green house. There is an interior of a theater and a photograph of the "State Insane Asylum Band."